Great buys and outfits as usual. I really wish you lock with the cold turkey..... You brave thing, I have no willpower! Great shoes Michelle, and don't they go with your Mulberry. Love the navy jacket too, well done. From no on I have to be 'good' re: shopping as I'm back at college and the fees are sly high. it is going to be difficult though so I am with you on the taking it one step at the time. You found two lovely bargains, very clever ( and then I would say they don't count) good luck! You did well girl! The shoes look fab on - and they obviously have slotted right in to your wardrobe. And the mac - that's a steal! You're doing well on this careful considered buying ... I'd love to know how much you've culled though. None of your vintage pieces I hope! Thanks Sue....the shoes have slotted right in! I absolutely love the Mac too! I love that phrase.....carefully considered buying! This is already making me think more about what it's worth spending the money on, once I've had a rest from purchasing I hope to be able to identify those pieces more easily! I do love a GAP bargain. It's always annoying when the prices in store are different than online (i.e. cheaper) but they don't have your size in store but they do online... Not that I go in to town much but when I do it always happens with GAP! Gorgeous shoes Michelle and they look super on you. 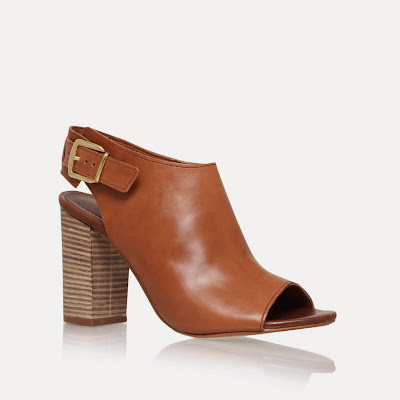 *off for browse on Kurt Geiger*. I noticed you have a Forever21 t-shirt in one of your pics. Could I ask how you find the sizing? I was just looking at a couple of t-shirts on there this morning but have no idea if their sizing is usually true-to-size or not. Thank you so much....I really love the new shoes!! Thanks for that Michelle. I will order the M as that should be fine by the sounds of it. I've totally purged my wardrobe and am focusing on two capsules. One for Spring/Summer and one for Fall/Winter. I got started on Unfancy's blog and then found Into Mind which is another fantastic resource of inspiration. It seems to have all put a huge curb (for now) on spending and searching for another "perfect" piece because I'm enjoying more the things I've unburied that I already had.